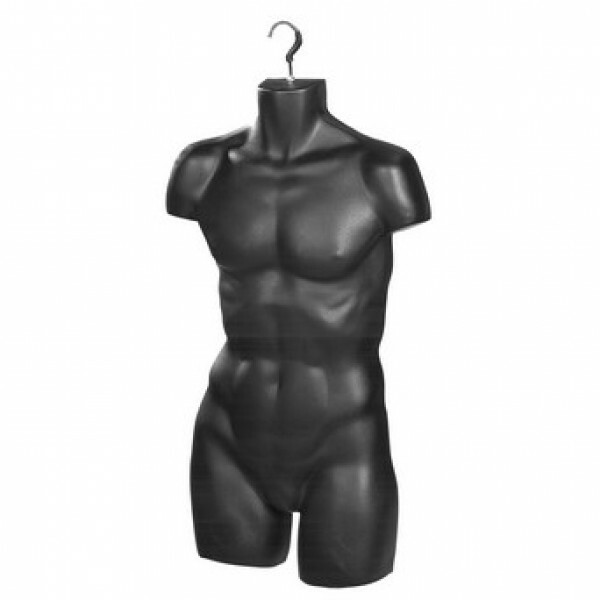 Black hanging torso form is ideal for any retail clothing display. An economical alternative to more costly full round clothing forms and mannequins. The hook is included for hanging clothing form.